Nettex launch Keep Kalm as part of their new V.I.P.® range of products. V.I.P.® Keep Kalm represents the next generation of calmer supplements. Its formula of natural casein and chelated magnesium supports concentration and wellbeing. 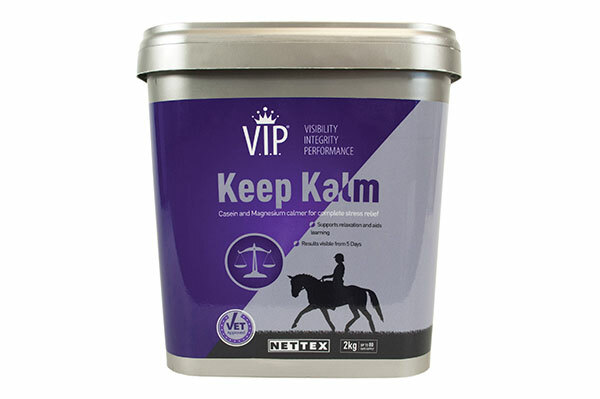 V.I.P.® Keep Kalm is conveniently packaged in 2kg tubs which will last an average size horse for over two months, making this a cost-effective way to ensure horses maintain peak health. For stockist information, visit www.nettexequine.com, call Serena Kidd on 07557037654 or email serena.kidd@net-tex.co.uk.